This Saturday from 7 to 9, Cravingz will be hopping to the live acoustic music of Phil Tolliver. What better way to enjoy the evening than to sit under the canopy of a cherry tree and sip on a chilled glass of beer or pinot grigio while jiving to upbeat tunes? Don’t forget to order a tasty sandwich and take a stroll around Judy Cook’s evolving creation of hollyhocks, cannas, hydrangeas and many other beautiful flowers. Cravingz famous large sandwiches are now available in half portions with fruit—just $3.99! of Spanish language, literature and culture at Adrian College. Wednesday, Sept. 5 • 4–5 p.m.
American Red Cross Blood Drive for Stockbridge Area: September 6, 2018 from 1pm-6:45pm at Stockbridge Presbyterian Church. Our Sponsor of the Month is Farmers State Bank. They will be giving out FREE popcorn every Friday! This week, our market will have tomatoes, corn, potatoes, beans, cabbage, peppers, garlic, herbs and so many more veggies. Also, we will have apples, pears, peaches and melons, cheese, honey, eggs, jam, breads, pies, cookies, Mason Bee Houses and much more! This is the BEST time of the year for produce. Shoreline Wild Salmon returns September 14. Enjoy the music of Gary Allen from 5:30 to 7 pm. live music at the Stockbridge Open Air Market. Fridays, Sept. 7–28 • 5:30–7 p.m.
then you can try them out yourself! Thursday, Sept. 13 • 3:30–4:30 p.m.
Our Farmers have had a good harvest this year. Our market will have peaches, pears, peppers, potatoes, tomatoes, greens, beans and corn! And, we will have cheese, honey, pesto and SALMON! Also at the market, you can buy bread, pies, cookies, soaps & candles, woodworking and more. Our Sponsor of the Month is Farmers State Bank and they will be giving out FREE popcorn every Friday! Featuring: Ultimate Air Dogs, Pony Rides, Exotic Animals, Bouncy Houses, Build Your Own Scarecrow and more! The church of Christ located at 4783 S.M-52 Stockbridge offers free clothing and food items every 3rd Saturday of each month. The items are available this September 15th from 10a.m. until noon. Performances will be held at CADL Stockbridge. Located at 200 Wood St., Stockbridge. All shows are free. Drawings will be held periodically. Start times are approximate. SongLab is a new, unique event putting a spotlight on original music. Four acts have been chosen to perform their original songs at CADL Stockbridge. The songs will be recorded, and the library will create CDs that will be available for borrowing through the CADL collection. We also plan to make the music available via streaming from the CADL website. Each act will receive an $80 gift card from Marshall Music and will be entered into a drawing to win $300 in professional recording studio time at Troubadour Recording Studios in Lansing. Behind the effort is the library’s desire to help local musicians get heard and to partner with them as they develop their careers, as well as to add locally imagined and produced content to the CADL collection. As CADL Stockbridge nears the completion of its eighth year coordinating the Market Music Series of Friday night concerts on the village square throughout the summer, we are excited about this new phase of involvement with the local music community! 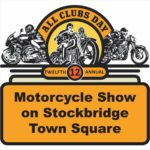 The show will feature: vintage, classic & remarkable motorcycles. Participation is by invitation only. Spectators are welcome! 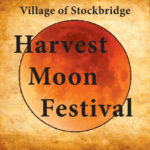 Sponsored by Stockbridge Downtown Development Authority. Inspire your youth to have a regular fitness routine with this 8-week fitness program. This fun and motivating exercise program is a great way to stay active this fall! All fitness levels are encouraged to join! Provided by Grant Funds through the 5 Healthy Towns Foundation and a collaboration between Stockbridge Wellness Coalition, Stockbridge Wellness Center and Stockbridge Community Schools. For more information or to register contact Kari Goorhouse at 734-214-0235. *Escape from the Stockbridge Library! escape, and tell Paul’s boss! Tuesday, Sept. 18 • 7:15–8:45 p.m. Kids help pick out a story to hear for inspiration and then get creative with our LEGO collection! Thursdays, Sept. 20, Oct. 18 & Nov.15 • 4–5 p.m. Your hometown market will have amazing fruits and veggies this week. Betty will have apples, melons, plums, beans, beets, sweet potatoes and more. Lake Divide will have greens, kohlrabi, potatoes, tomatoes, garlic, herbs and much more. Pregitzer will have CORN! Also, you can buy honey, cheese, jams, bread, pies, other baked goods, soaps & candles and more. October 5: we will have VOTER REGISTRATION for Stockbridge Twp. residents from 4 to 7 pm. October 5: Jackie’s pesto returns. October 12: Shoreline Alaskan Wild Salmon returns. Come meet the Fishermen! This week, enjoy the music of Full Circles 5:30 to 7 pm. 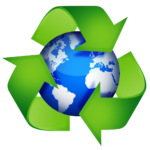 Stockbridge residents only may bring in items to be recycled; proof of residence is required. Containers will be available for used motor oil, liquid paint and antifreeze. Note: The 2018 SHS football team will be holding a scrap metal drive; any metals will be accepted. Please join us for this FREE fun filled evening at Heritage School on September 27 from 5 to 7 pm. Learn about Wonders and our K-6 reading program! Don’t worry about Dinner! Pizza concessions will be available for purchase! Bring 5 or more non-perishable food items and enter to win a Family League Pass for the 2018-2019 season. The winner will be announced October 5th. Selected Fridays • 12–1 p.m. Enjoy refreshments and join the discussion! The ABC’s of the market: Apples, Beans, Corn etc.! We still have lots of tomatoes, cabbage, greens, herbs, peppers, several varieties of squash, eggplant and more. The aroma of warm soups and stews is in the air now! Also at the market, you’ll find honey, jams, cheese, breads, pies, soaps & candles, woodworking and YOU! This week, enjoy the music of Jack Falk & Rick Brown 5:30 to 7 pm. Our Sponsor of the Month is Farmers State Bank and they will be giving out FREE fresh popcorn every Friday! other activities like LEGOs and board games. Younger children welcome with adult supervision. Friday, Sept. 28 • 7–8:30 p.m.